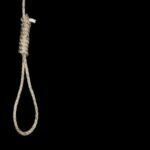 HRANA News Agency – At least 10 prisoners have been hanged between 8th and 11th of June. 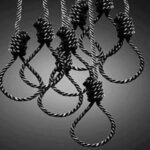 HRANA News Agency – There have been 18 prisoners hanged in different prisons during the last 24 hours. HRANA News Agency – Over the last few days, nineteen people have been executed with charges of murder and drug trafficking in Alborz, Lorestan, Mazandaran, Qazvin and Gilan. HRANA News Agency – Esmaeil Sadeghi, public prosecutor of Ghazvin, published the news of the execution of four people in central prison of Qazvin. 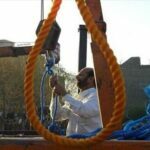 HRANA News Agency – The prosecutor of Qazvin says 3 prisoners have been hanged on charge of drug trafficking and 2 other on charge of murder.